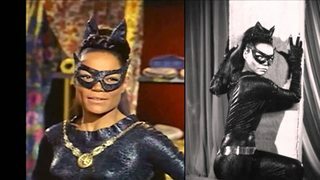 What is the significance of the different avatars of Catwoman in Batman's vision during Concussion? 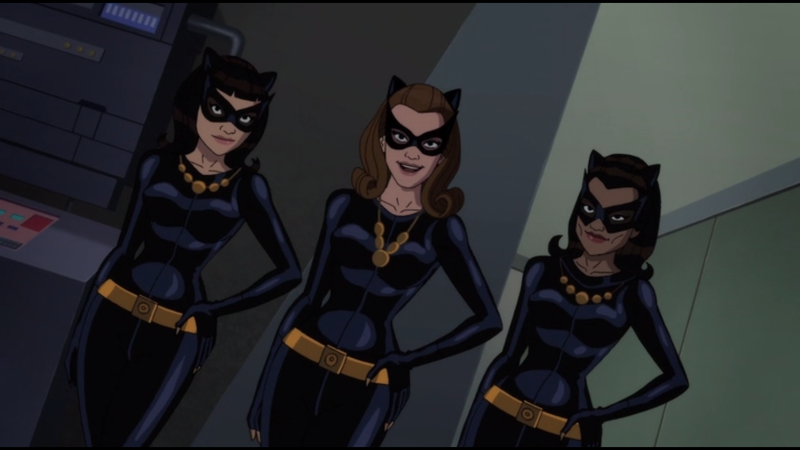 But these three Catwomen are of different hair colour and ethnicity. But why? Is it a nod to some comics book alternate Catwoman versions or a reference to the 1960's live action show? I don't know, but I suspect it is a reference to the 1960s Batman Series. 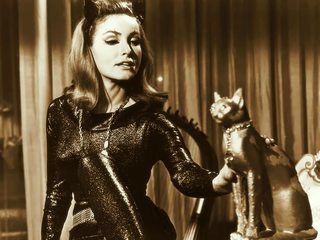 Catwoman was portrayed by Julie Newmar in seasons one and two and by Eartha Kitt in season three. Also by Lee Meriwether in the Batman movie. Not the answer you're looking for? Browse other questions tagged character analysis comic-adaptation return-of-the-caped-crusaders . What happened to Bruce Wayne/Batman's knee? What is the significance behind the MCU's numerical designation? What do the different colour intros mean? What is the in-universe significance of different colours of lightsabers in Star Wars? What is the significance of the scene the proprietor is watching during the “laundry scene”? What was the significance of two different shoes worn in Peaceful Warrior? What is the significance of the robot names in Interstellar? Why do Superman and Batman's mothers have the same name, Martha? What was the significance of The Fugitive?